This looks like a great haul. I'm excited for Crewel and Eve and Adam. I've already started on Eve and Adam, but haven't had enough time to finish it. Still, I've been looking at wanting to read the Lux series too, but haven't seen them anywhere and my library will probably not have them. All really annoying! I've heard so many amazing things about Crewel so I finally gave in and got a copy from Netgalley. Eve and Adam too. 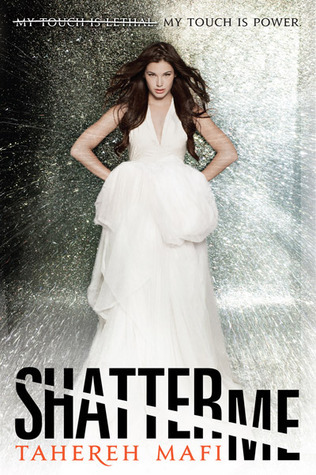 As for Shatter Me, you know how I felt about it. Some parts were exaggerated, but be patient with her, I promise she finds her voice by the second book. I usually just announce the winner on Rafflecopter, but I've come to realize it's not the best way. I'll be doing winner posts from now on. Nice haul! I am really excited about Crewel and Eve & Adam, too! And I can't wait for your Jessica Darling review. Yay on the Kindle! :) It just makes requesting books for review so much more difficult to resist though haha. Awesome haul :). P.S I think a winners post would be a much better idea :). Looks like it was a great week for you, Keertana! I have a Nook but I want a Kindle too! I read my kindle books on an iPad app, and it is not the same! And I do a winner's post -- seems to be the best way to let everyone/the winner know what's going on. Emails can be lost, sent to spam, etc. 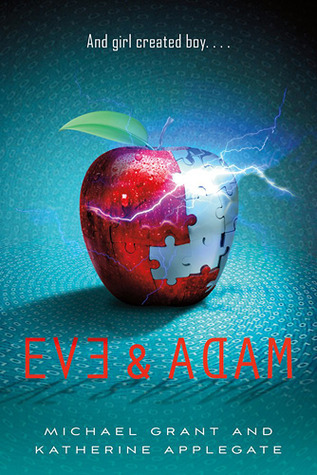 Eve and Adam looks amazing, I adore the cover! 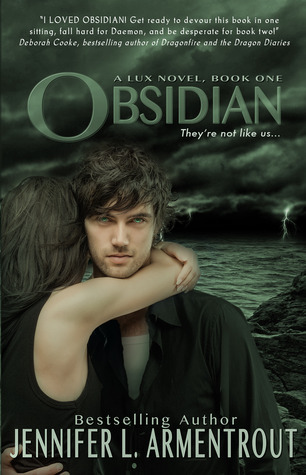 I need to read the Obsidian series - and I had to idea about the prequel! :O Shatter Me looks brilliant, I'm desperate to read that one too. Thanks Heidi! :D I love my Kindle and I don't know how I read NG Books without it! Happy Birthday! Hope you enjoy your Kindle. I know I love my Nook. I agree with you completely on Obsidian and can't wait to read the second and third books to see if I start to like Daemon as much as everyone else has. 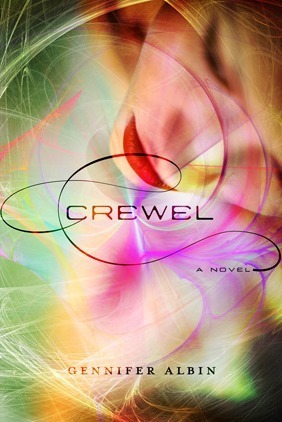 Can't wait to read Crewel. 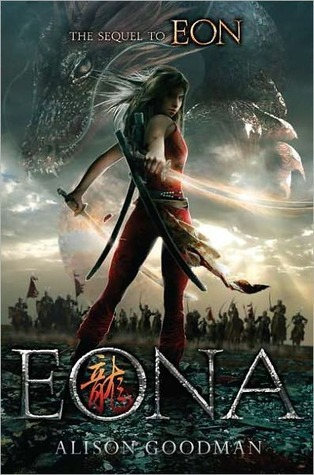 I loved Eon and am looking forward to Eona. I was on the side that loved Shatter Me. I think the writing style throws people off because it's a bit confusing at first. As for the winner's post, I'm not much help. I like them but I'm OK without them. Great books I have had Obsidian and Shatter Me for awhile now but still haven't read them yet! I can never make my mind up if I want a Kindle or not. Happy Birthday for tomorrow! So many awesome books and congrats on the Kindle!! 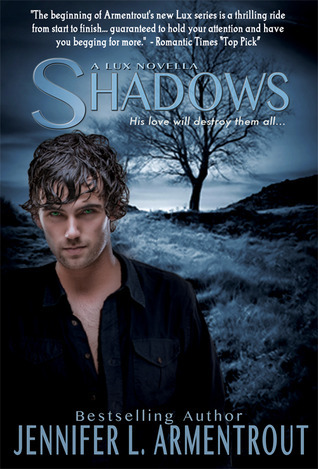 It makes NetGalley so much easier! PS I don't bother with winners posts. I just email the winners and "announce" the winner on rafflecopter so people going back to the post to check can see who the winner was. It does, doesn't it? I love my Kindle! I think most people seem to want winner posts, so I guess I'll do them although it does seem to be a tiny bit pointless...oh well! I'm glad to hear Daemon won you over in Onyx! You know I'm a fan. ;) Though I agree - Katy was a little frustrating in the sequel! Suction is especially essential when thinking of the most essential vacuum attachment, a hose. Cuisinart Coffee Maker Programmable Let The Controls Do The Tricks! Anne smiled in a way that she had not done in the last 10 years, ever since John had left for his heavenly abode.